Cummins has launched a new 50Hz diesel generator, the QSG12. 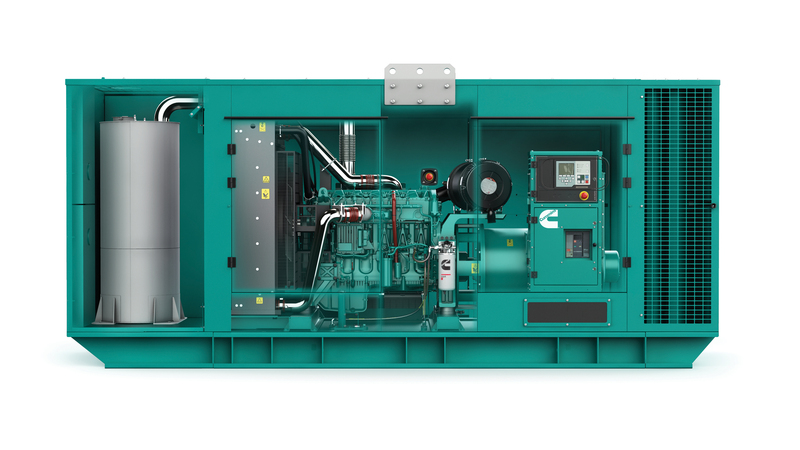 Available from 360-450kVA at 50Hz, the new C400D5 and C450D5 generator set models are powered by a Cummins 4 cycle, inline, 6 cylinder dual speed engine. The Cummins heavy duty engine is designed to respond to low emissions requirements and delivers fast response to load changes, while using less fuel. In particular, Cummins’ XPI fuel system is offered across all new models for greater fuel efficiency. This series is designed for a wide variety of applications to meet diverse customer needs in different markets such as hospitals, manufacturing, commercial and industrial facilities. The reduced noise level down to 67Db(A) at 75% makes the series an ideal choice for such industries. All new models can run in grid parallel mode to fit customer requirements. Additional features offered within this new product offering include extended service intervals of 500hrs for easier maintenance and unaided cold start capability at -12°C. “This product series includes many design and performance improvements and it is a definitive step forward for us. In addition to the robust performance and fuel efficiency offering, Cummins customers can depend on comprehensive warranty and worldwide distributor network, making this series a perfect fit for global standby and prime power applications,” said Ignacio González, Executive Director of Power Systems Greater Europe.